Note: the Queensland Herbarium currently recognises this species by the name Agave vivipara L.
Naturalised in the coastal districts of south-eastern Queensland (i.e. in the Moreton and Wide Bay districts), though its actual distribution may be underestimated by herbarium records. Also naturalised in the coastal districts of central and northern Queensland, as well as in north-eastern New South Wales. The cultivar known as variegated Caribbean agave (Agave angustifolia 'Marginata') is also sparingly naturalised in south-eastern Queensland. A weed of roadsides, railway lines, embankments, cliffsides, disturbed sites and waste areas. It also grows in open woodlands, in coastal environs, on creekbanks and in vegetation along watercourses. A long-lived (i.e. perennial) shrubby plant forming very large rosettes of leaves 0.5-1 m tall and 1-1.5 m across. Older individuals develop a very short woody trunk at the base, and when fully mature they produce a massive flower cluster on a robust flowering stem 3-5 m tall. Plants also produce numerous suckers and eventually form a large clump or colony. 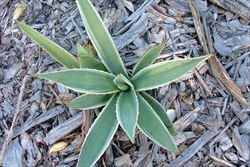 a long-lived shrubby plant forming large rosettes of leaves up to 1 m tall and 1.5 m across. 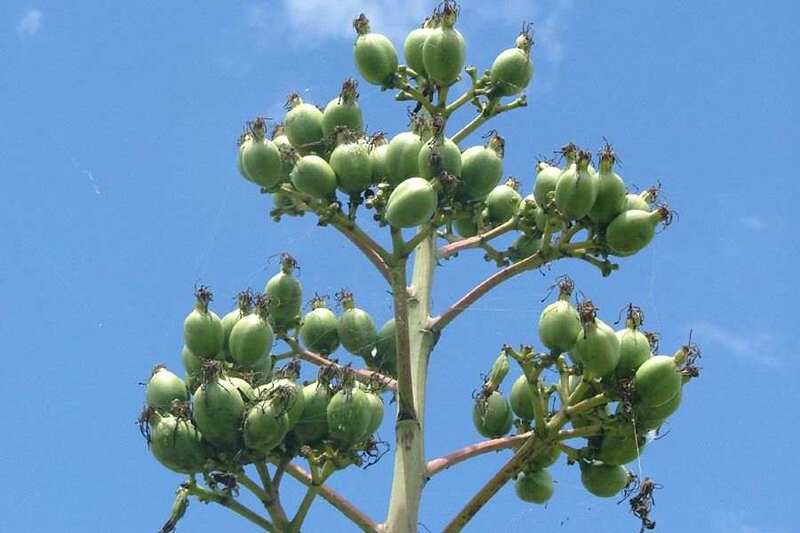 its large fleshy leaves are long and narrow (30-80 cm long and 3.5-10 cm wide) in shape. 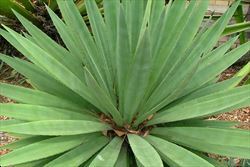 these rigid leaves have prickly margins and a pointed tip topped with a large dark-brown coloured spine (1.5-3.5 cm long). mature plants produce a massive flower cluster (1-2 m long) on a robust flowering stem 3-5 m tall. the greenish-yellow flowers (5-6.5 cm long) are borne in an upright position and have six very large protruding stamens. 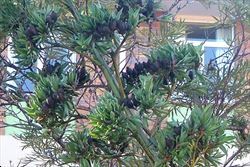 the large capsules (about 5 cm long and 3 cm wide) have a pointed tip and turn dark brown or blackish in colour as they mature. plantlets are often also produced in clusters near the tips of the flowering branches. 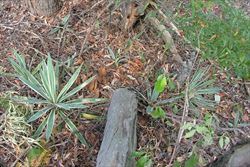 The short woody stems of this species are usually less than 0.5 m tall and are mostly hidden by the leaves. 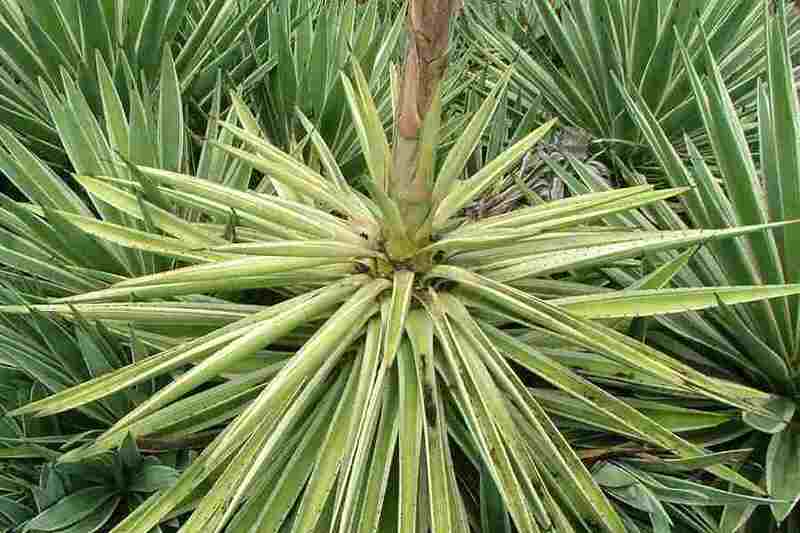 Massive green flowering stems are eventually produced, which have alternately arranged bract-like leaves. 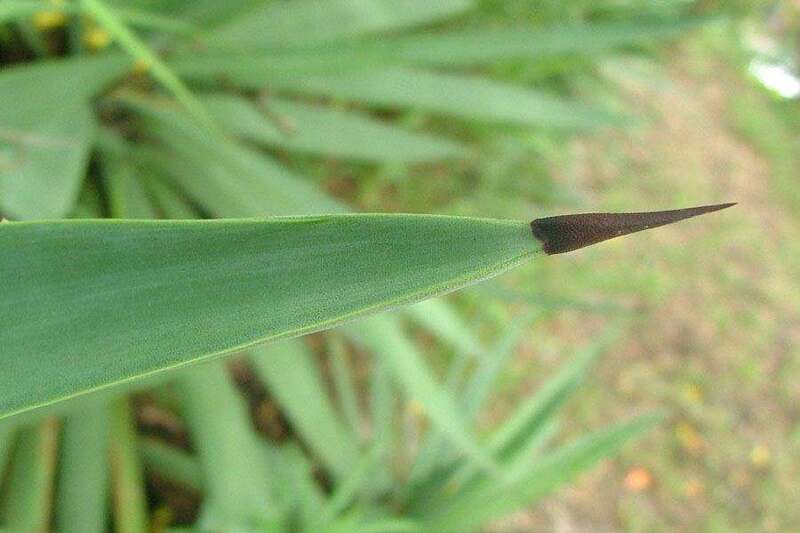 The very large leaves are long and narrow (i.e. lanceolate) in shape and arranged in a rosette. They are usually rigid and somewhat fleshy (i.e. 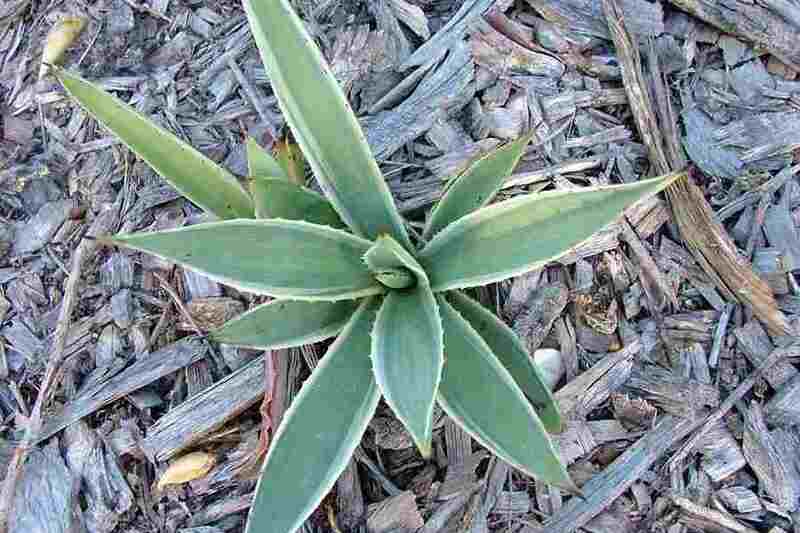 succulent), and are slightly thickened towards the base. 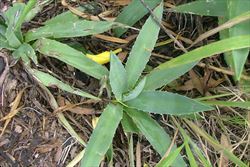 These leaves (30-80 cm long and 3.5-10 cm wide) may be upright (i.e. erect or ascending) or spreading. They are usually light green to greyish-green or bluish-grey in colour, but a variegated form with whitish or yellowish margins (i.e. 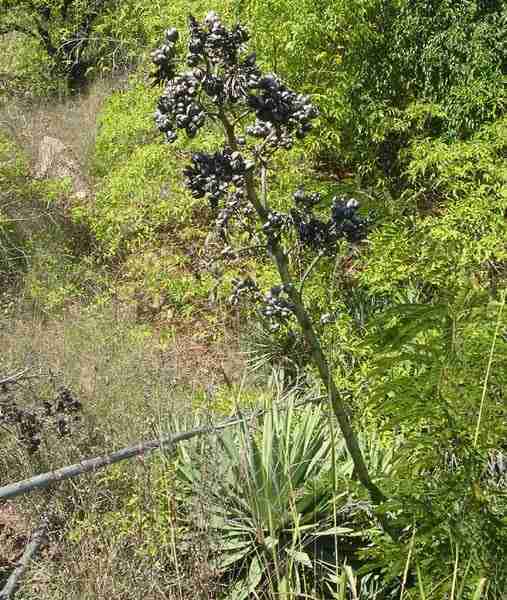 Agave angustifolia 'Marginata') is also present in naturalised populations. Their margins are armed with small reddish-brown or dark brown prickly teeth (2-5 mm long) that are borne 1-2 cm apart. They are also hairless (i.e. glabrous) and have a pointed tip (i.e. acute apex) topped with a large dark-brown coloured spine (1.5-3.5 cm long). The massive flower clusters (1-2 m long) are borne at the top of a very robust flowering stem. These flower clusters have 10-20 branches, with the branches being further divided towards their tips (i.e. they are terminal panicles). Individual flowers are borne in an upright (i.e. erect) position on short stalks (i.e. pedicels). These greenish-yellow flowers (5-6.5 cm long) are borne in groups towards the tips of the branches. They have six 'petals' (i.e. perianth segments or tepals) that are fused together at the base into a short tube (8-16 mm long) with spreading lobes (18-24 mm long). The flowers also have six very large stamens, consisting of stalks (i.e. filaments) 3.5-4.5 cm long and yellow anthers (20-30 mm long). They also have a large ovary topped with a style and three stigmas. The fruit is a large egg-shaped (i.e. ovoid) capsule (about 5 cm long and 3 cm wide) with a pointed tip (i.e. beaked apex) and consists of three compartments. 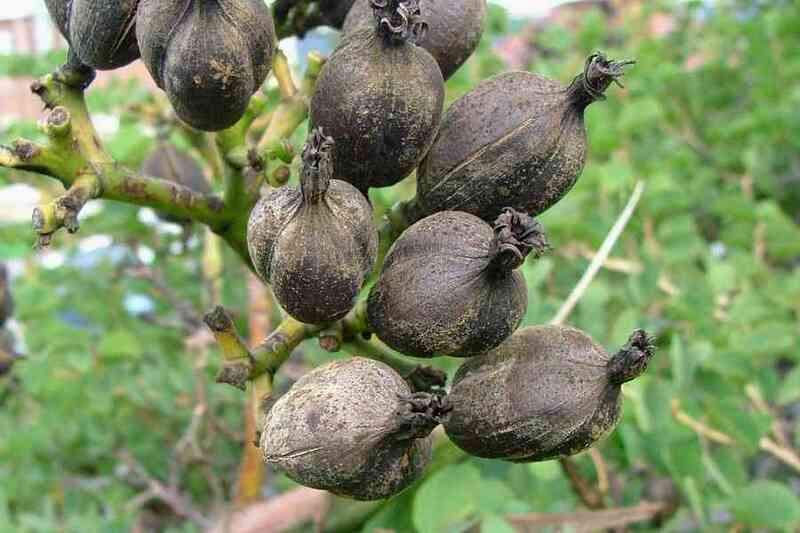 These capsules turn from green to dark brown or blackish in colour as they mature and eventually split open to release their seeds. The large seeds (9-12 mm long and 7-8 mm wide) are dull black in colour and somewhat flattened. A few to numerous plantlets (i.e. bulbils) are sometimes also produced in clusters near the tips of the flowering branches. This species reproduces by seed, but the majority of reproduction is probably vegetative. 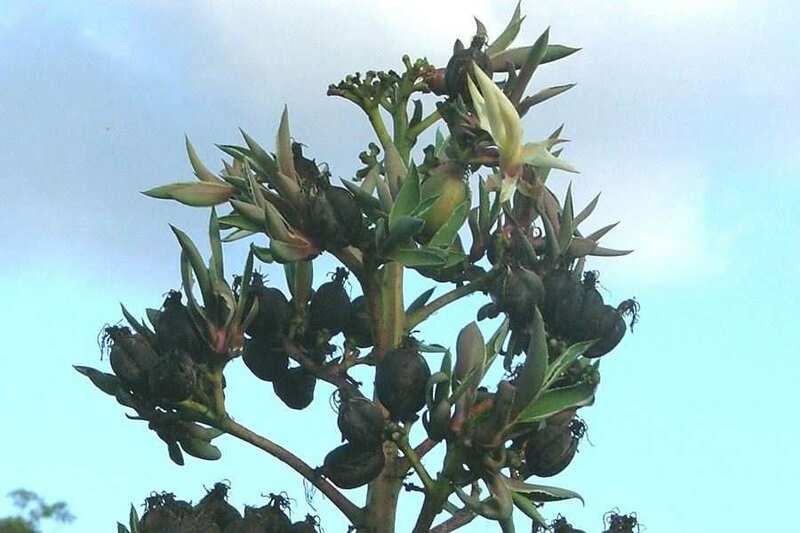 It produces numerous suckers and often also develops plantlets (i.e. bulbils) on the branches of its flower clusters. Caribbean agave (Agave angustifolia) spreads laterally via suckers and can form very large and dense colonies over time. The plantlets (i.e. bulbils), which usually fall from a significant height, are dispersed by gravity and may also be spread downstream during floods. 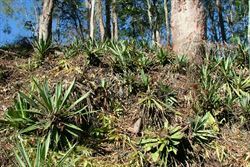 Plants and bulbils are also commonly spread into bushland areas in dumped garden waste. This species is not currently declared under any state or local government legislation. 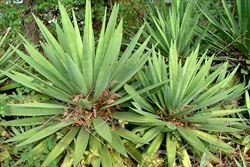 As this species is not a declared plant, its control is not required and there are no restrictions on its sale or cultivation. 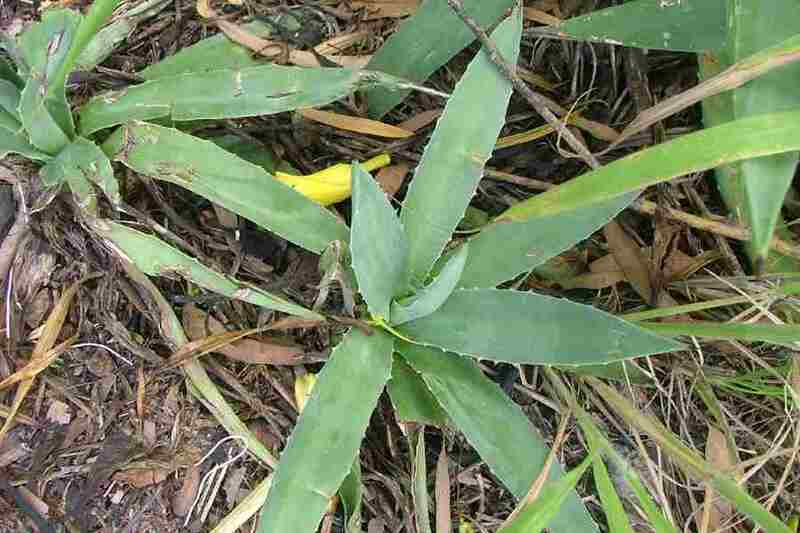 However, it is an environmental weed and should be controlled in sensitive bushland and conservation areas. 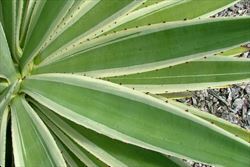 Caribbean agave (Agave angustifolia) has very short basal stems, usually less than 0.5 m tall. Mature plants have relatively small light green, greyish-green or variegated leaves (usually 30-60 cm long) that are usually very rigid. These leaves have numerous small prickles (2-5 mm long) along their margins. This species produces large capsules and sometimes also develops numerous plantlets (i.e. bulbils) on the branches of its flower clusters. 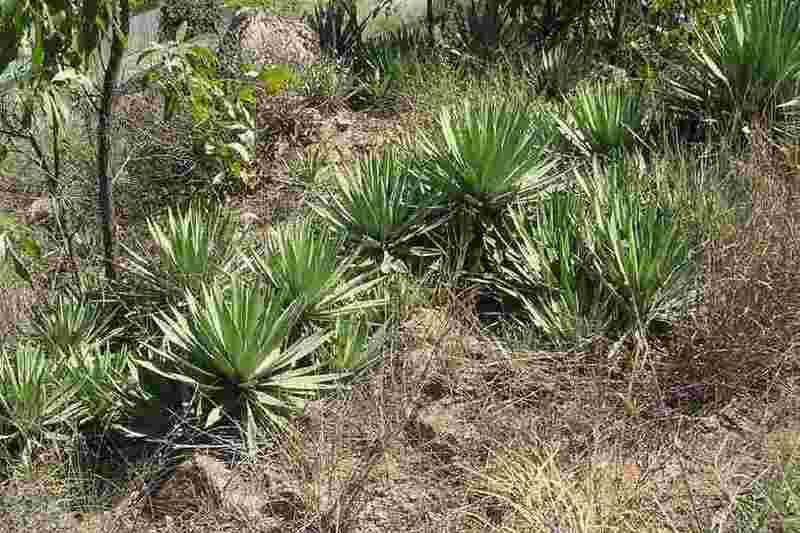 Flordia agave (Agave decipiens) has relatively tall basal stems, usually more than 0.5 m tall. 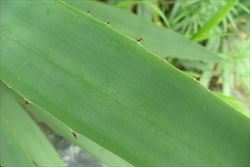 Mature plants have moderately large green leaves (usually 70-100 cm long) that are usually rigid with very swollen bases. These leaves have numerous small prickles (2-3 mm long) along their margins. This species usually doesn't produce capsules in south-eastern Queensland, instead developing numerous plantlets (i.e. bulbils) on the branches of its flower clusters. 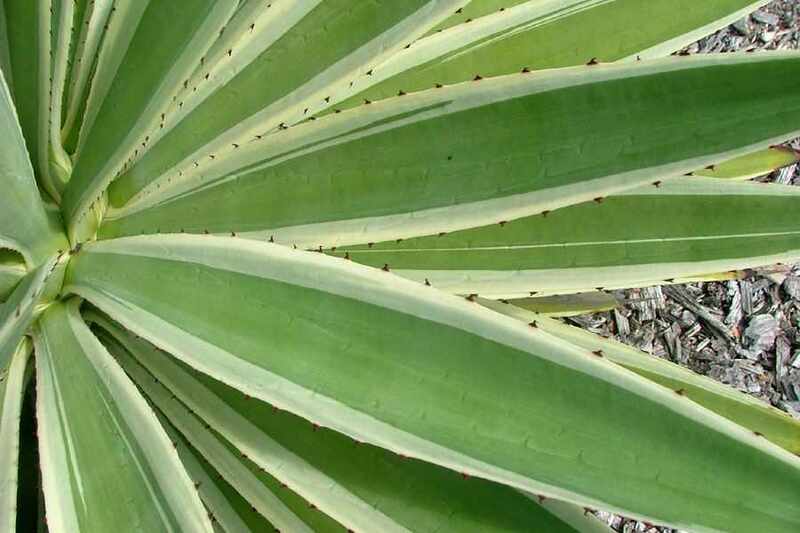 maguey (Agave cantula) has very short basal stems, usually less than 0.5 m tall. Mature plants have relatively large green or greyish-green leaves (usually 100-200 cm long) that are relatively thin and flexible. These leaves have some small prickles (2-4 mm long) along their margins. This species usually doesn't produce capsules in south-eastern Queensland, instead developing numerous plantlets (i.e. bulbils) on the branches of its flower clusters. 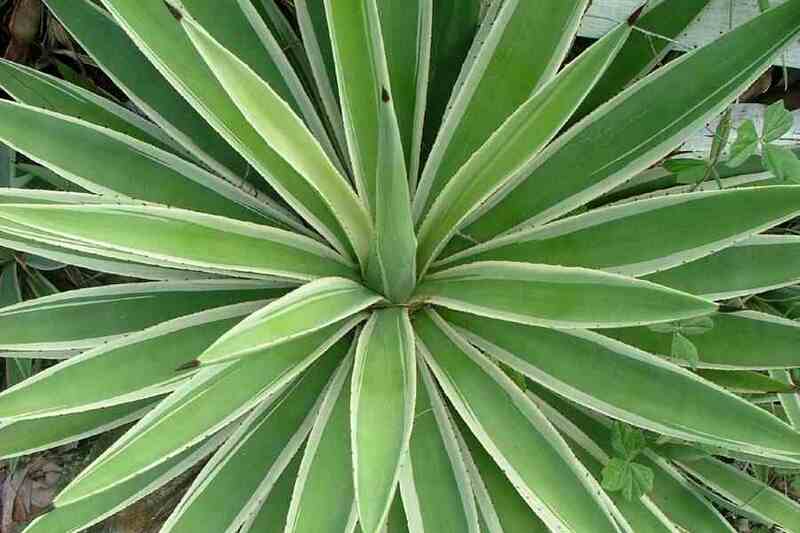 sisal (Agave sisalana) has very short basal stems, usually less than 0.5 m tall. Mature plants have relatively large green or greyish-green leaves (usually 90-130 cm long) that are usually very rigid. These leaves do not have any prickles along their margins. This species usually doesn't produce capsules in south-eastern Queensland, instead developing numerous plantlets (i.e. bulbils) on the branches of its flower clusters. 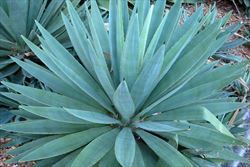 Caribbean agave (Agave angustifolia) may also be confused with century plant (Agave americana) and the false agaves (i.e. 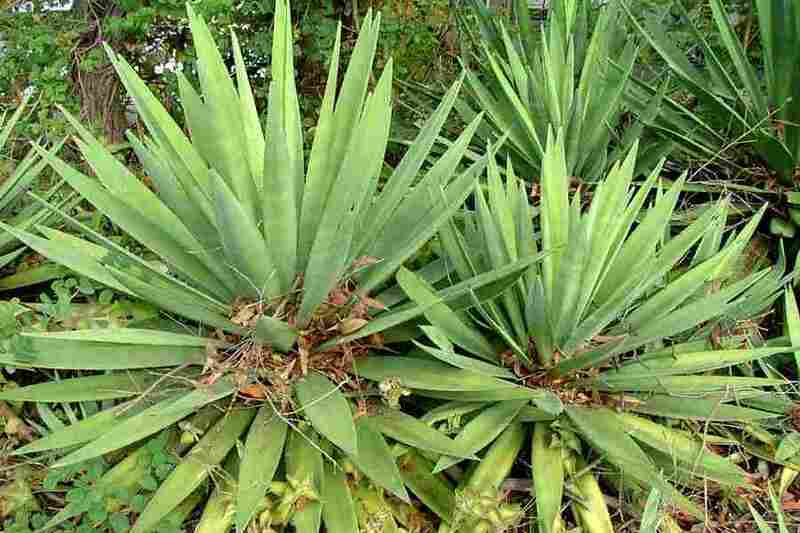 Furcraea spp.). 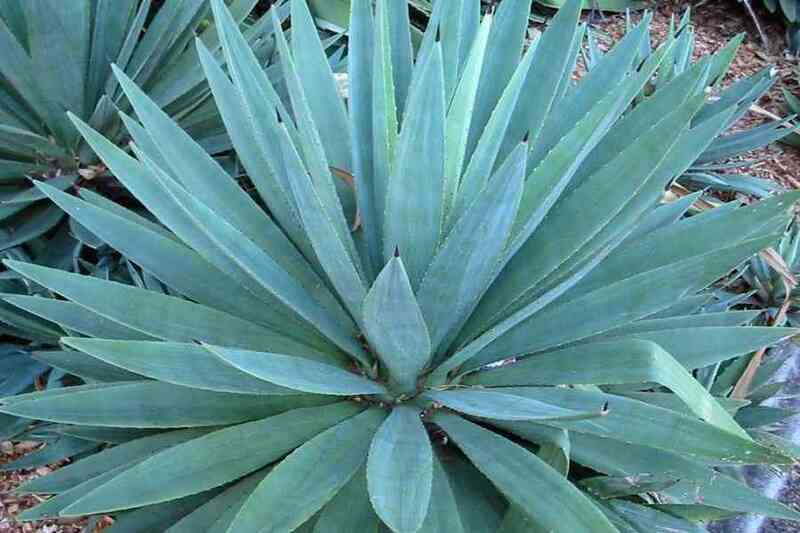 However, century plant (Agave americana) has broader leaves (15-25 cm wide) and the false agaves (i.e. Furcraea foetida and Furcraea selloa) can be distinguished by their drooping flowers. 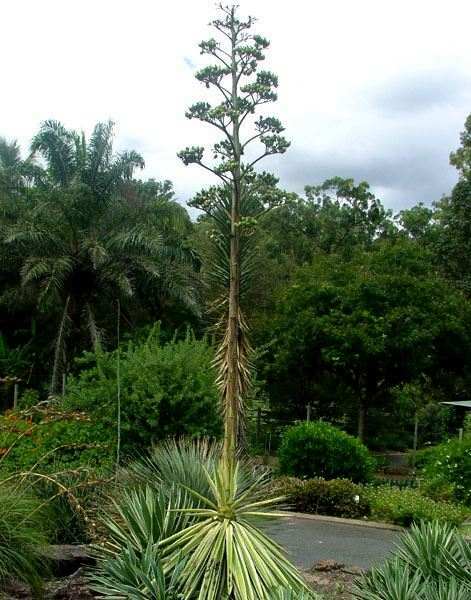 Caribbean agave (Agave angustifolia) has escaped from cultivation as a garden ornamental and become naturalised in eastern Queensland and north-eastern New South Wales. It is naturalised in a wide variety of habitats in the region, often becoming established after being dumped in garden waste. 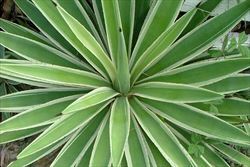 A cultivar of this species with variegated leaves, known as variegated Caribbean agave (Agave angustifolia 'Marginata'), is also very popular in cultivation in Australia. It is occasionally also present in naturalised populations. 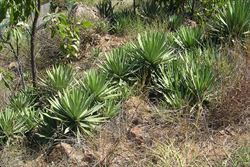 Caribbean agave (Agave angustifolia) is regarded as an environmental weed in south-eastern Queensland, and is ranked among the 200 most invasive plant species in this region. It has commonly been recorded as a weed of coastal sand dunes, sea cliffs and offshore islands (e.g. Peel Island). 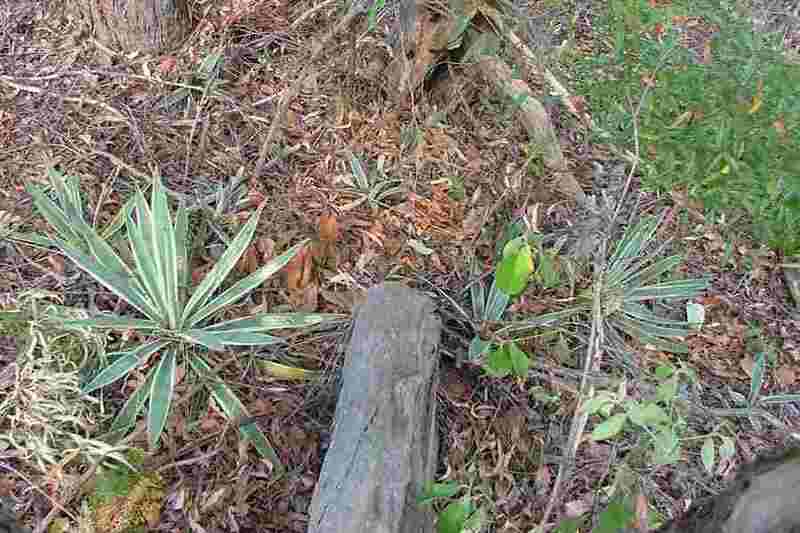 However, it is also a weed of roadsides, railway lines, disturbed sites, waste areas, abandoned gardens, urban bushland, riparian vegetation, hillsides and open woodlands in other parts of the region. This species is not restricted to this part of the state, with the first naturalised specimen being collected at Rockhampton in 1956. 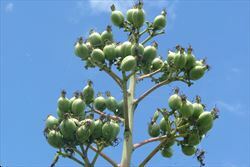 Caribbean agave (Agave angustifolia ) is particularly problematic in coastal environs and is listed among the 35 most troublesome weed species occurring on Queensland's east coast sandy beaches and dunes. 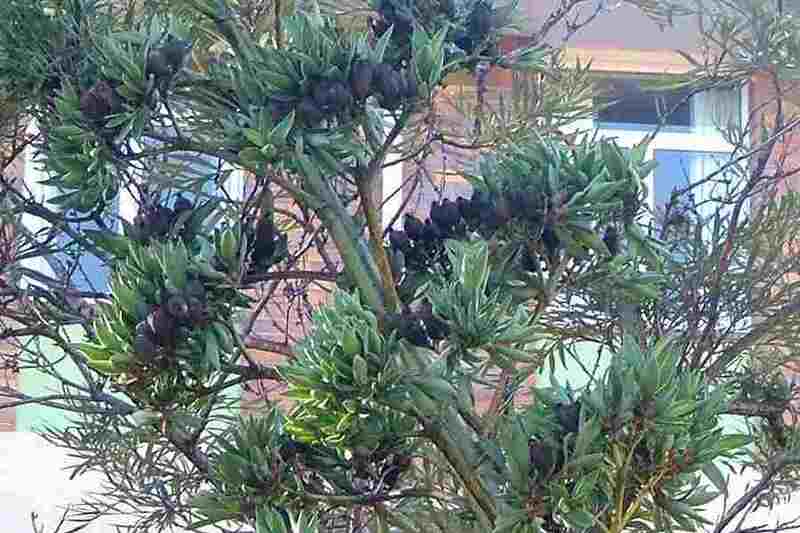 It was also recently recorded from north-eastern New South Wales, where it was growing on sandy soil in a coastal banksia woodland in the Yamba area.